A stay at Container Hotel places you in the heart of Kuala Lumpur, within a 15-minute walk of Pavilion Kuala Lumpur and Prince Court Medical Centre. This hotel is 0.9 mi (1.5 km) from Berjaya Times Square and 1.5 mi (2.4 km) from KLCC Park. 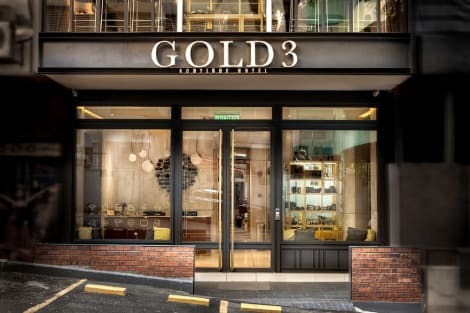 Located in Kuala Lumpur (Golden Triangle), OYO 486 Victory 2 Boutique Hotel is within a 10-minute walk of Berjaya Times Square and Pavilion Kuala Lumpur. This hotel is 0.4 mi (0.6 km) from Lot 10 Shopping Centre and 0.4 mi (0.6 km) from Sungei Wang Plaza. Make yourself at home in one of the 46 air-conditioned rooms featuring flat-screen televisions. Your room comes with a pillowtop bed. Complimentary wireless Internet access keeps you connected, and cable programming is available for your entertainment. Private bathrooms with showers feature complimentary toiletries and hair dryers. A stay at Sim Hotel Bukit Bintang Kuala Lumpur places you in the heart of Kuala Lumpur, within a 15-minute walk of Berjaya Times Square and Sungei Wang Plaza. This hostel is 0.6 mi (0.9 km) from Lot 10 Shopping Centre and 1.4 mi (2.3 km) from Pavilion Kuala Lumpur.